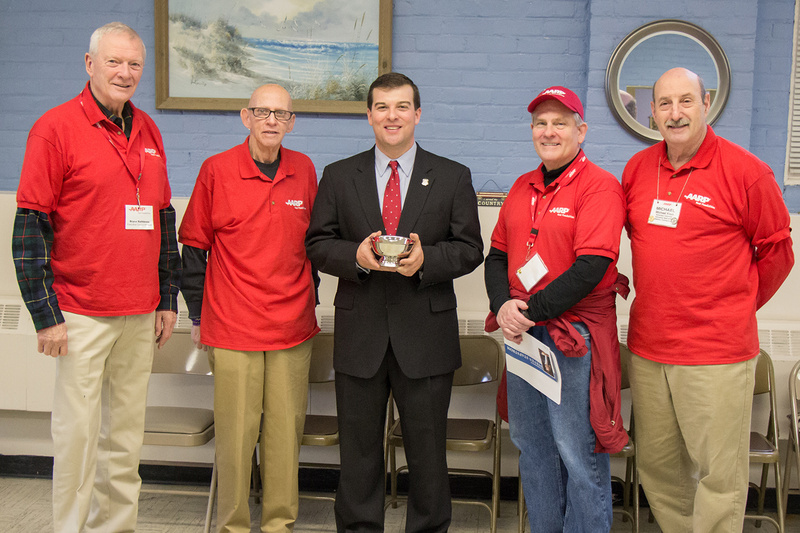 State Representative Steve Stafstrom (D-Bridgeport) has been honored with an “AARP Legislative Achievement Award” for his leadership in passing the Uniform Power of Attorney Act in the 2015 General Assembly session. Rep. Stafstrom is being recognized with an AARP Legislative Achievement Award because of his leadership in passing the Uniform Power of Attorney Act, which will benefit family caregivers and help fight financial exploitation. The Uniform Power of Attorney Act (UPOAA) aims to promote autonomy and to prevent, detect, and redress Power of Attorney abuse. This means that Connecticut POA laws will be strengthened to better protect our residents and to benefit businesses and courts. List circumstances under which a third party may legitimately refuse to accept a POA and provide sanctions for unlawful refusals. The award was presented at the The Black Rock Senior Center in Bridgeport.